Has LinkedIn Taken Over CV? Is Cover Letter Really Necessary? Boost your professional life with a transformational CV that speaks for You. Reach out to potential employers through targeted CV distribution. A professional profile is your first step to Success! Let us write your Profile. Hire top talent with our diverse candidate pool. Login to reap the Best! From sending a ‘Thank You’ to sharing a ‘Recommendation’, say ‘Anything’ professionally with our 6 letter pack. A rich database of candidates awaits you at Resume.ae. Contact us to know more. Difficulty in finding job? Our Job Posting is just for You. Having doubts on your CV or LinkedIn profile? Get free assessment Today! The services at Resume.ae are timeless and very valuable, I would recommend them to anyone looking to revamp their career or professional standing. Having worked for 18 years in the UAE, I was at a top level job already. The challenge I had is that I could not put down my career trajectory into writing on my own. Resume.ae really helped me and now I am glad that I have a truly comprehensive professional profile. 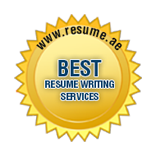 Resume.ae services are highly professional and reliable. I got a lot of calls the moment I signed up with them and received a complete overhaul of my professional image. I would surely use their services again. I wanted two CVS for two different professions. The new CVs delivered were clear not to mix the role and to emphasize on what I wanted to do. A great job indeed. I started my career at an early age, and was in the same job for over 10 years. I didn’t have any CV. The consultant at Resume.ae not only assessed my role and requirements, but made sure that it was as per my target. I hope you guys do the same work for everyone. My colleague referred me to resume.ae. She said I will be getting a good resume in just 2 – 3 days, and I did get. It was a relaxed process. I loved the work. I was worried how to condense my 25+ years of experience. I had a CV of over 5 pages and a huge list of achievements. Resume.ae team transformed my report like CV into a well-written CV that was specific to the point, yet not too descriptive. Incredibly smart work. I got what I expected. They consultant assignment made sure to track my CV writing request and share regular updates. Well Done. Being a CEO, I always wanted the best for me and my company. I was not willing to settle for less. Resume.ae gave me CV a good boost, and was able to meet my tight expectations. I believe they are the best in UAE. I thought my CV was great, but it was not getting me interviews. I couldn’t figure out what the issue was. But someone from the resume.ae reviewed my CV free of cost and gave me helpful suggestions to work on. It was great help. Thanks guys. I hired a CV writer from UK to update my CV. But, being from the banking industry, the guy couldn’t do much of a change. However, my faith in CV writers was restored by Resume.ae in Dubai. I got my CV as per my expectations. Every time I wanted to update my CV, I have enough work piling on. I couldn’t get time and it started effecting my job search. Having approached team resume.ae, I got my CV updated and ready in 24 hours. Instant service! That’s awesome. Thanks. My CV was a mess. I couldn’t do the updates that employers wanted in my CV. But resume.ae team transformed my CV into a wonderful document that reflected who I am. Great job. I had previously hired a professional CV writer to create a professional CV. It did not meet my expectation and I was really annoyed. But the CV which was developed by Resume.ae not exceeded my expectations, I immediately started getting interview calls after uploading it on a few job portals. Thank you for helping me to chase my dreams. Since I was trying to find a job in Australia, I needed someone who could help me draft a CV as per Australian standards and format. The writer at Resume.ae understood my requirements and created a CV which was specific to Australian job market. I’m really satisfied with the end result. 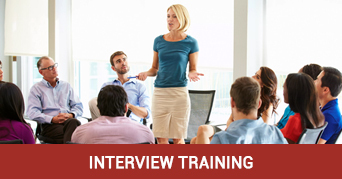 I used be to a nervous wreck at interviews until I attended the interview training programme at Resume.ae. They helped me overcome my fears and I regained my confidence. Now, I attend interviews with full confidence and renewed enthusiasm. I sincerely thank the trainers at Resume.ae for their efforts. I appreciate the efforts you took to write engaging content for my LinkedIn profile. It has vastly helped to improve my brand image and further expand of network. Thank you for creating a brand new professional CV for me. I have been contacted by several recruiters ever since I uploaded the new CV on job portals. I have already recommended your website to all my friends. You did a wonderful job, I am really obliged. I have recommended your website to my friends and family. You have great customer service, Thank you for the amazing CV and the friendly 24/7 support line. The CV is great. Thank you so much for your help with this. I am very happy with the final version of my updated CV. Thank you so much for creating a good professional CV and Cover Letter. Very impressed with the final result. Hi, I have been selected by a good MNC in UK and will start my job from Aug. Thank you for creating such an impressive CV. Resume.ae, They provided me with excellent CV, it was really a professional one. The CV flows beautifully and far exceeds from my expectations. I feel supremely confident thanks to your hard work and professionalism! Thank you so much, I could never have written this CV by myself! It was worth the wait, the CV is just awesome. I will be recommending you to my friends! Do you still searching job?